Olympus Corporation (President: Hiroyuki Sasa) is pleased to announce that the M.Zuiko Digital ED 17mm F1.2 PRO (34mm focal length in 35mm equivalent) interchangeable lens (launched in January 2018) is the recipient of the Camera Grand Prix 2018 “Lens of the Year” award in Japan. Olympus recently expanded its M.Zuiko F1.2 PRO prime lens lineup with the M.Zuiko Digital ED 17mm F1.2 PRO (34mm focal length in 35mm equivalent) and the M.Zuiko Digital ED 45mm F1.2 PRO (90mm focal length in 35mm equivalent). These Micro Four Thirds® system lenses join the currently available M.Zuiko Digital ED 25mm F1.2 PRO (50mm focal length in 35mm equivalent) to deliver outstanding resolution and beautiful feathered bokeh at a maximum aperture of F1.2. 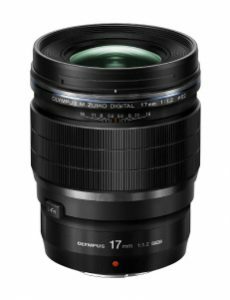 The prestigious honor of the Camera Grand Prix 2018 “Lens of the Year” award for the M.Zuiko Digital ED 17mm F1.2 PRO lens marks the third consecutive year that the Japanese Camera Journal Press Club has awarded Olympus the “Lens of the Year” award at the Camera Grand Prix. The brand previously won the award for the M.Zuiko Digital ED 300mm F4.0 IS PRO in 2016, and M.Zuiko Digital ED 12-100mm F4.0 IS PRO in 2017. Olympus is the first manufacturer in the industry to achieve the high honor for three consecutive years.